Between fish tacos and margaritas, I got quite a bit of reading in during our visit to Sayulita. Mediterranean Summer by David Shalleck, the story of his summer as a chef on a private sailing yacht in the Mediterranean, was a perfect beach read, except that it made me want to race to my kitchen. 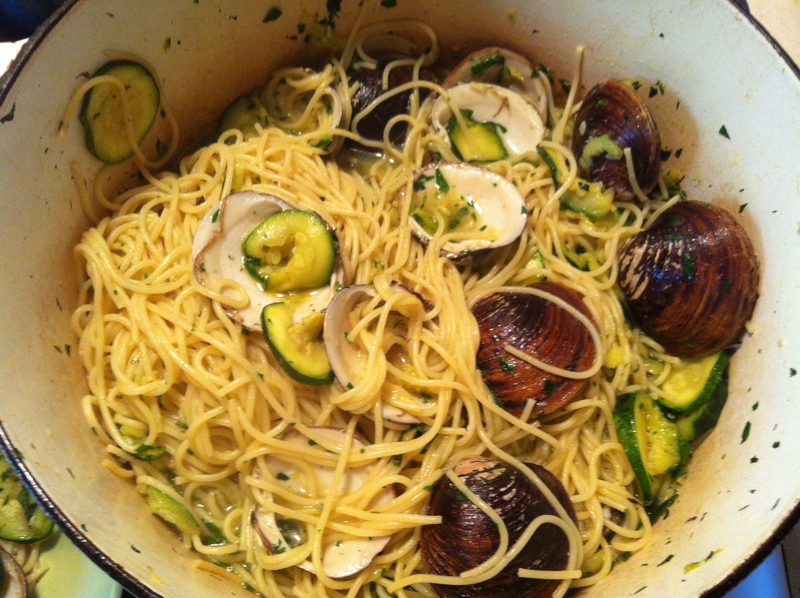 But on Sunday night, when I had retrieved my daughters from their annual week in Massachusetts with my parents, it was time for David’s Linguine with Clams and Zucchini. 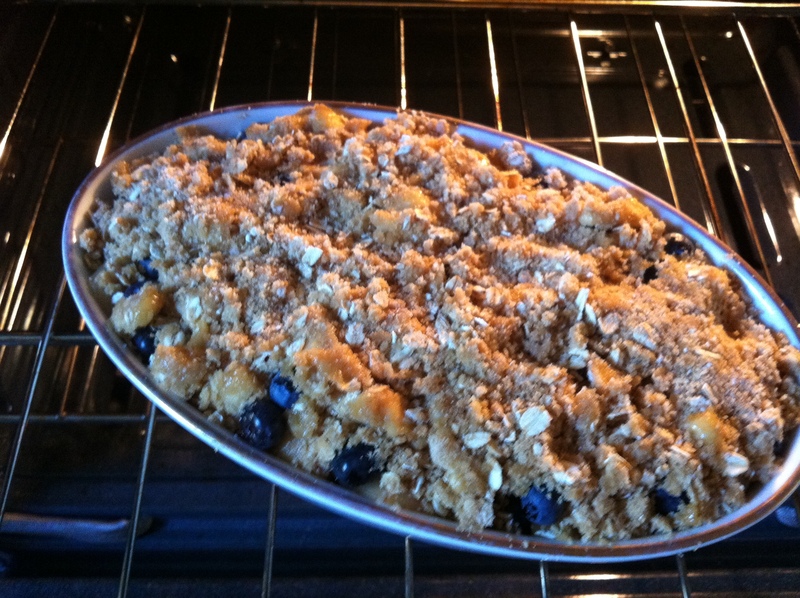 Additionally, Greta informed me as we were driving home from our Connecticut rendezvous spot that she was feeling the need to do a little baking. 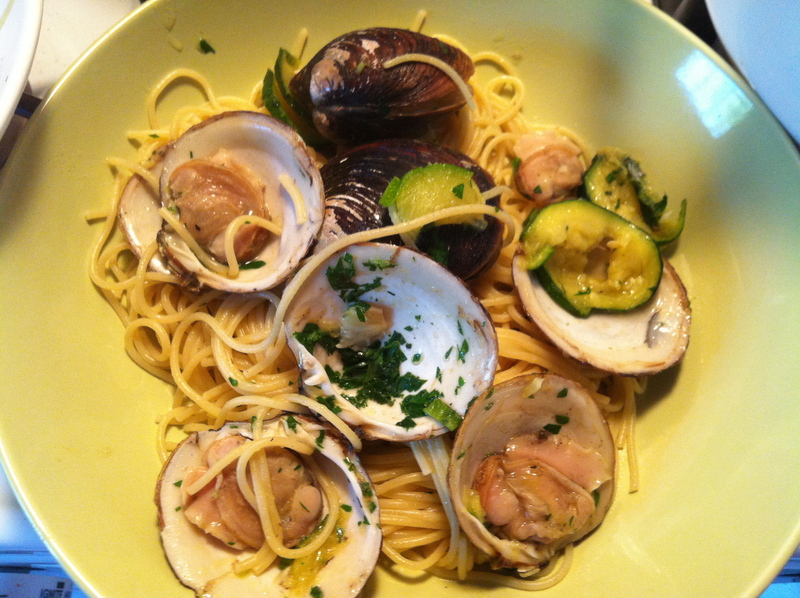 The thing that made me want to give this clam recipe a try, was the idea that the almost over-cooked zucchini provides a coating that allows the sauce to better adhere to the linguine. 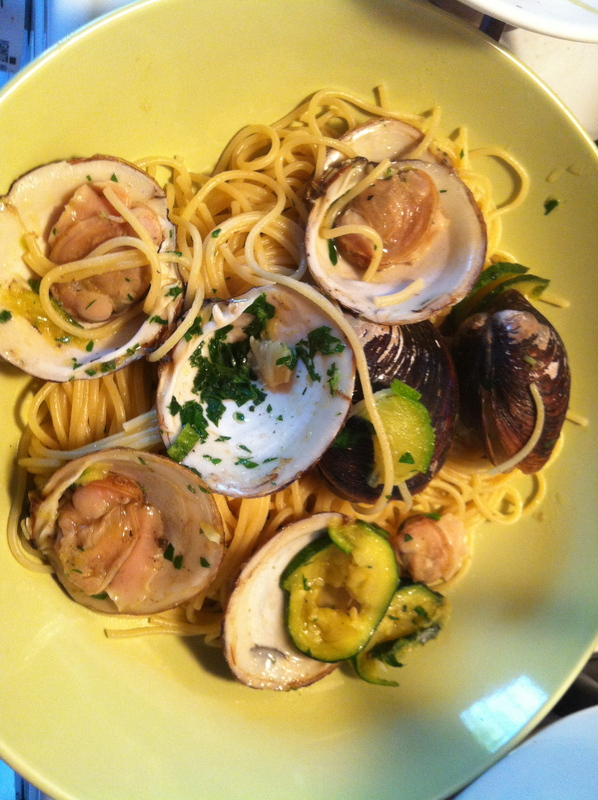 (Plus, as you know, I’ve just got a thing for linguine and clams. New twists always welcome!) You cook the zucchini in garlic and a nice amount of olive oil, remove the zucchini, and then cook the littlenecks (I had to use mahogany clams from Maine on this night) in the zucchini-garlic-flavored oil. Add some hot red pepper (which I had to forgo in consideration of my daughters’ sensitive palates) and parsley, toss it all (including zucchini) together, using a bit of pasta water to make a bit more of a sauce, and va bene! 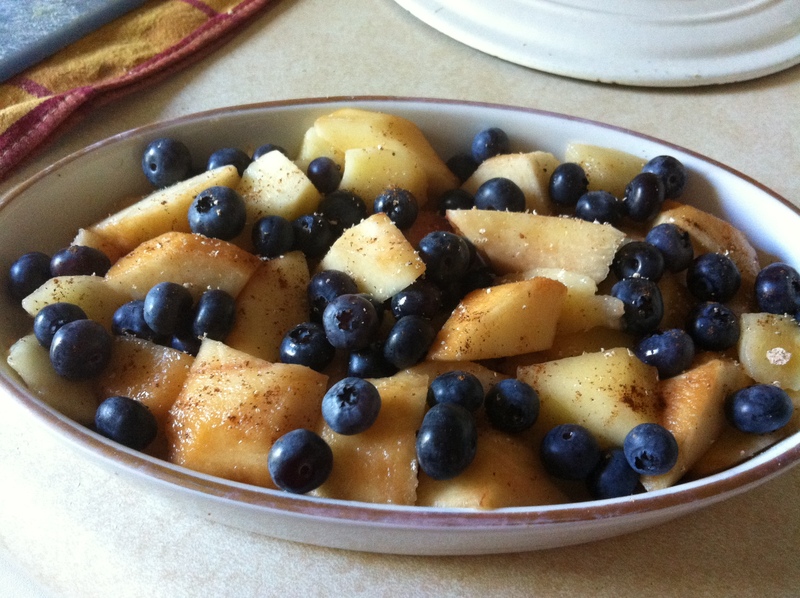 As for the crumble, we peeled the nectarines, added the blueberries, and Greta did her magic with cinnamon and grated nutmeg. 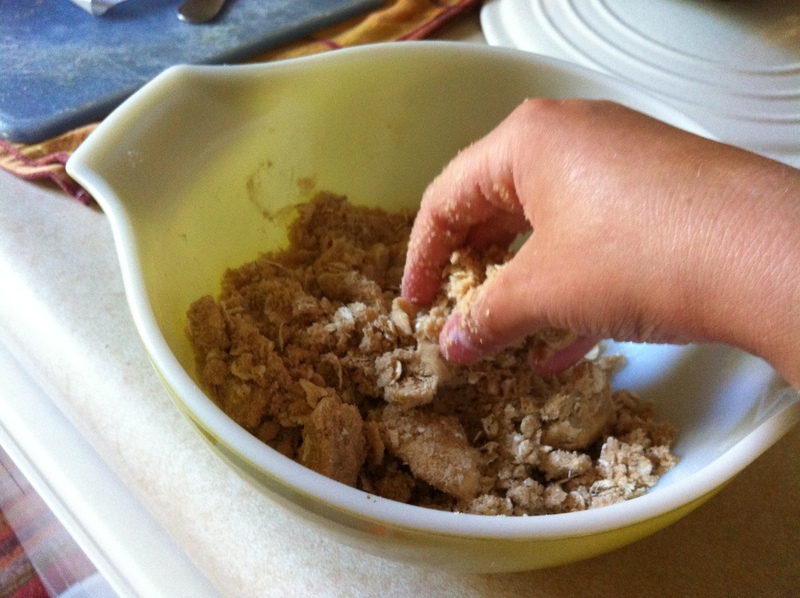 She then mixed together some whole wheat flour, oats, brown sugar, dash of salt, and pinched it all together into crumbles with half a stick or so of butter. 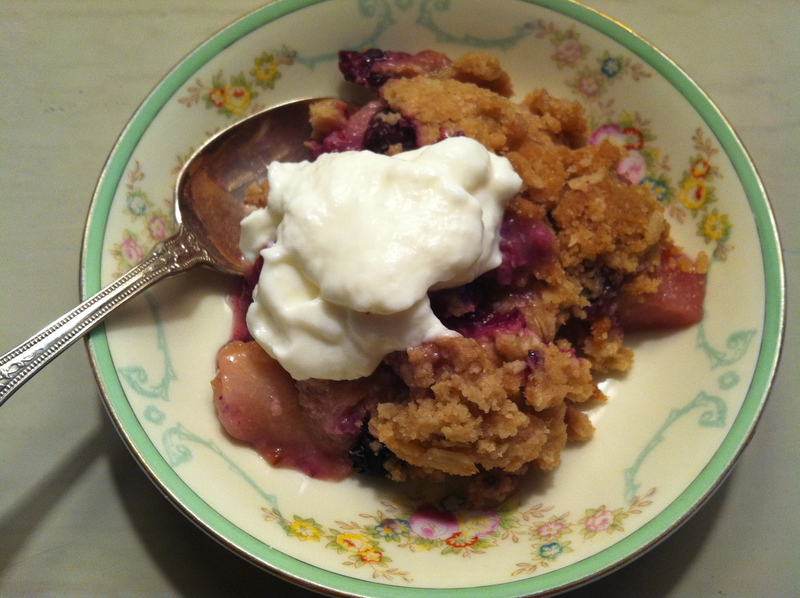 Many would insist that vanilla ice cream is the only appropriate accompaniment, but I prefer something to cut the sweetness a bit – honeyed yogurt or creme fraiche will do the trick. 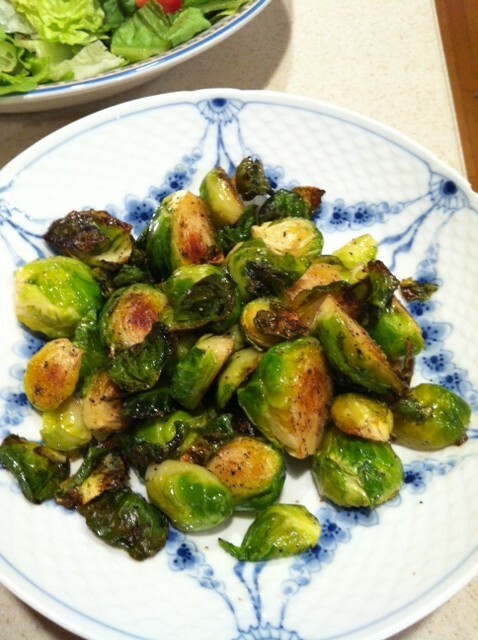 If you’ve got some heavy cream in the fridge, how about that?